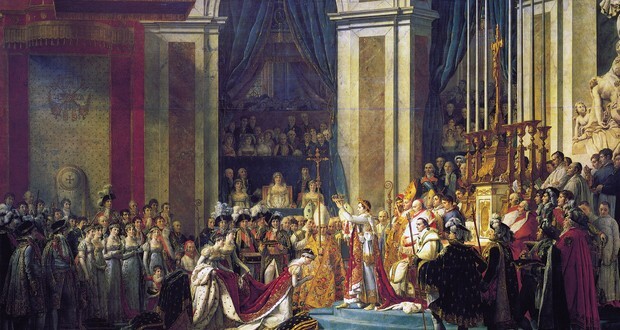 During Napoleon I's coronation in 1804, the new emperor crowned himself, instead of having the Pope Pius VII put the crown on his head, to symbolize that he was becoming emperor based on his own merit and not the will of God. 2. In 1809, a woman named Jane Todd Crawford was diagnosed with an ovarian tumor. She rode 60 miles on horseback to see a surgeon named Ephraim McDowell who was willing to extract the tumor. It had never been done before out of fear it would kill the patient. After the 22.5-pound tumor was removed from her body without anesthesia, she lived for another 32 years. 3. Andrew Myrick was a storekeeper on a Minnesota Native American reservation, who told starving natives to get grass if they were hungry. He was found dead on the first day of the Dakota War of 1862 with grass stuffed in his mouth. 4. A man named Mr. Ramon Artagavetiya survived the sinking of a ship named America, close to the shore of Punta Espinillo in Uruguay in 1871, leaving him traumatized afterward. Some 40 years later, he was finally able to overcome his fears and sail again only to die on the Titanic. 5. Harvard's first black faculty member was a dentist named Dr. George Franklin Grant. He joined the Department of mechanical dentistry in 1871. Also as an inventor, he patented the wooden golf tee. Previously, golfers carried around buckets of sand, placing their balls on little piles as they went. In 1883, the body of a bear and Frank Devereaux were found dead beside each other with the ground around them thrashed for 20 square feet. It's believed that the man and bear fought to death. 7. Chicago was raised over 4 feet with screw jacks in the 19th century in order to install the first sewer system in the United States. 8. In 1898, Nikola Tesla tricked an entire crowd into believing that they could control a toy boat by shouting commands at it. He had in fact invented radio control and was piloting the boat himself. 9. The baseball hand signals, such as safe and out, were invented by a 19th century deaf player named William “Dummy” Hoy so he could comprehend what was going on in his games. 10. The 19th-century serial killer H.H. Holmes opened a hotel in the United States which he had designed and built specifically with murder in mind. It included soundproofed bedrooms, trap doors, walls lined with blowtorches and two incinerators. 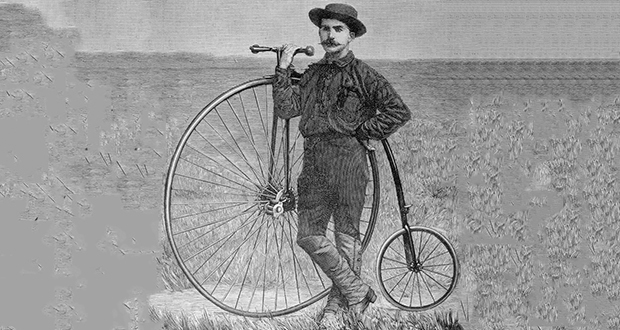 The first person to cycle around the globe was Thomas Stevens. He did it on a penny-farthing (high wheeled bicycle) between 1884 and 1886, packing only socks, a spare shirt, a revolver and a raincoat that doubled as a tent and bedroll. 12. Lobsters were so plentiful in the 1800s that Massachusetts servants demanded a clause in their contracts to prevent being fed it more than 3 times a week. 13. Treadmills were used as a form of punishment to torture prisoners in the 1800's. The treadmills operated by the prisoners powered grain mills (hence the name treadmill) and pump water. Prisoners were often forced to spend up to six hours a day on the wheel, which was the equivalent of climbing about 5,000 to 14,000 feet. 14. Downtown Seattle actually sits on top of the original city from the 1800s. It was rebuilt on top of approx. 20-foot high walled tunnels following a great fire, in order to prevent floods from high tide and sewage. You can go underground to see the original city remnants. 15. The concept of using a card for purchases was described in 1887 by Edward Bellamy in his utopian novel 'Looking Backward'. Bellamy used the term credit card 11 times in this novel, although this referred to a card for spending a citizen's dividend from the government, rather than borrowing. The hunting of bison to near-extinction in the 1800s was not to gain food, but to restrict the American Indians' dominant food supply. Herds of bison were shot from trains and left to rot where they died. 18. The 19th-century governor of Greece, Ioannis Kapodistrias, introduced the potatoes to Greece. Initially, he tried giving potato seeds to skeptical farmers for free who were reluctant to use them. When this failed, he piled the potatoes in public under guard, convincing people of their value. The public proceeded to steal all the potatoes and planted them. 19. William Wrigley Jr. sold soaps in 1891, offering baking powder as an incentive to buyers. The baking powder proved to be more popular, so he started selling it, offering gum as an incentive. But the gum proved to be even more popular, so he started selling them. In 1893, the Juicy Fruit Chewing Gum debuted. 20. People's teeth used to randomly explode in the 1800s due to bad fillings. Before the advent of mercury amalgam, a wide variety of metals were used to fill cavities. Using two different metals could create an electrochemical cell, effectively turning the whole mouth into a low-volt battery. 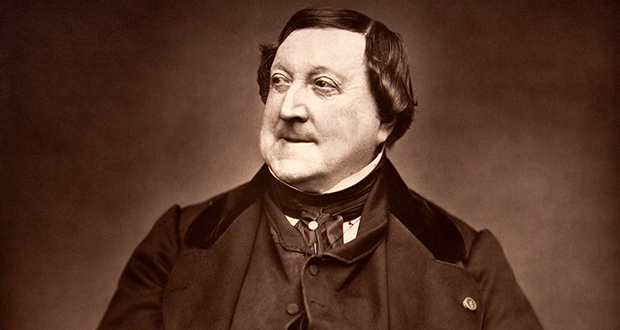 Giovacchino Antonio Rossini in 1800 wrote a song that consisted of nothing but two people meowing at each other. It's called "Duetto buffo di due gatti" which translates to "Humorous duet for two cats." 22. In the mid-1800’s millions of American children learned in school that one taste of alcohol could lead to blindness, madness or death. They also learned about spontaneous combustion, that just one drink of alcohol could cause their bodies to go up in flames. 23. Wong Chin Foo was a 19th century Chinese-American civil rights activist. He launched New York City's first Chinese newspaper and was active in politics. Wong once challenged Denis Kearney, an anti-Chinese demagogue, to a duel. He offered Kearney "his choice of chopsticks, Irish potatoes or Krupp guns." 24. In 1804, a London carpenter named Thomas Millwood dressed in white was mistaken for a ghost by an angry mob and shot in the face. 25. At midnight on the December 30th, 1899, a passenger streamer ship named SS Warrimoo positioned itself at the intersection of the dateline and equator, such that the bow and stern occupied different seasons, hemispheres, days, years, and centuries. For the ship, December 31st never occurred. You say here that crop failure forced Joseph Smith to leave his home in Vermont and his journey resulted in the Book of Mormon. This fact is so incredibly wrong that I wonder where on earth you got it from. For one thing, Joseph Smith was only 11 in 1816 (so he definitely couldn’t have written a book at the time) and his entire family moved from Vermont. For another, if you read one single page of the Book of Mormon you would find that’s it’s not about Jospeh Smith at all. It’s about an ancient civilization who lived in the Americas and their dealings with Jesus Christ. Joseph Smith merely translated the Book of Mormon into English. The family moved to Palmyra due to the crop failure in 1916. Joseph, allegedly, met the angel Moroni in 1823. The fact didn’t say that he wrote the book in 1816.